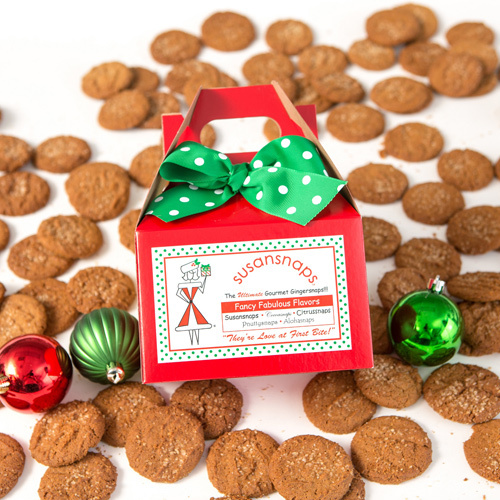 Once your gift recipient bites into a snap…they’ll be happy you sent them an entire box! 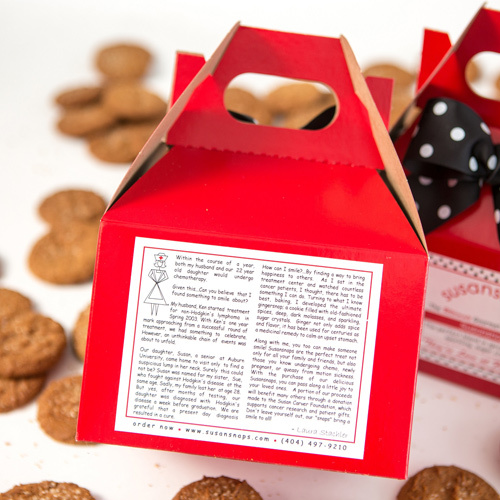 Enjoy 30 cookies in one pretty gift box. Our gift box is packed with our signature original Susansnap which is always a crowd pleaser. 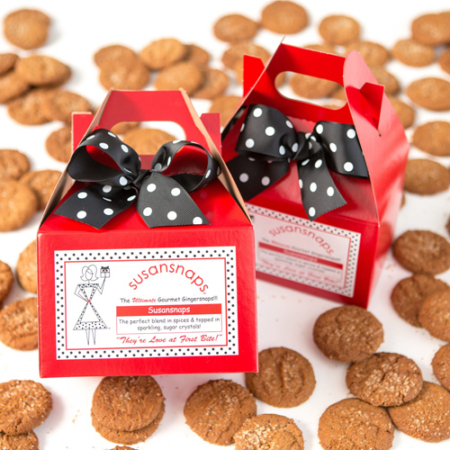 For a scrumptious gourmet gift at $18.25, this one can’t be beat! 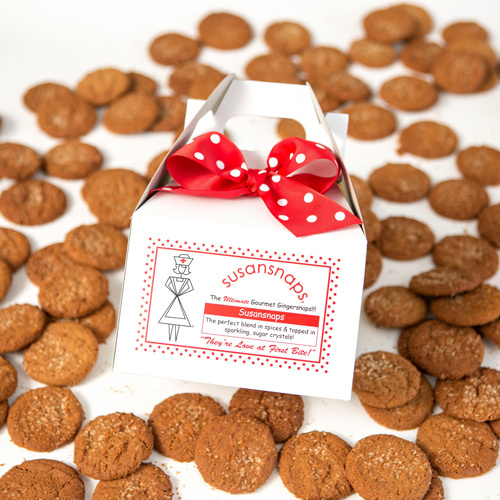 I give these wonderful cookies for different occasions when I need something special. Ordering again this Christmas for friends and clients. Thank you for a great product! cookies are the bomb ! 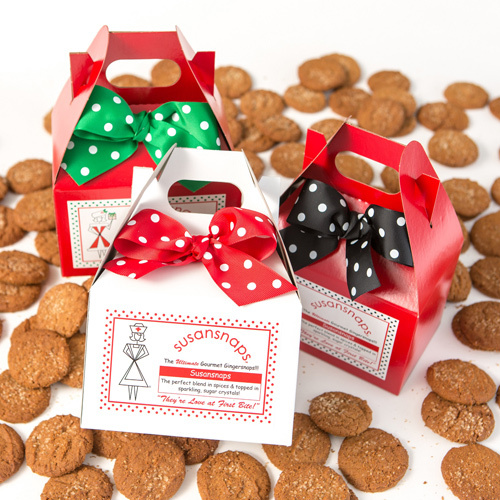 Cookies are unbelievably good and are an outstanding gift. Please consider “gifting” yourself! They were a gift to our office and they were wonderful!